In the past week, there have been two recent fatal plane crashes involving airline passengers. 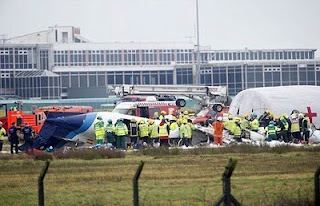 While this airliner accident resulted in fatalities, it is not counted as a fatal event as defined by AirSafe.com. 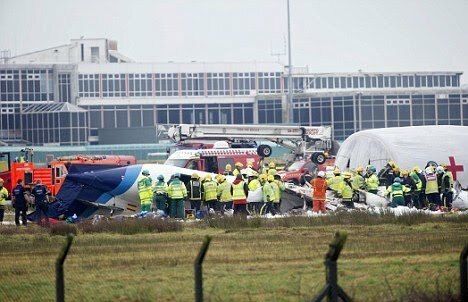 10 February 2011; Manx2 Swearingen Metro III; Flight 7100; Cork, Ireland: The aircraft was on a scheduled international flight from Belfast, Northern Ireland to Cork, Ireland when it crashed near the destination airport. There were low visibility conditions at the time of the crash. On the crew's third landing attempt, the aircraft crashed adjacent to a taxiway, came to rest upside down, and caught fire. 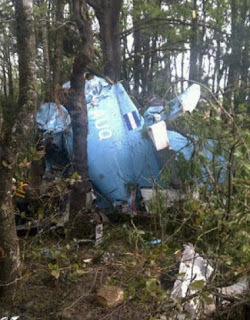 Both crew members and four of the ten passengers were killed. These two crashes represent the third and fourth airliner crashes with passengers deaths in 2011. By comparison, in 2010, the fourth fatal passenger crash did not occur until the middle of May.